It’s hard. You are inundated with letters and emails asking for money. There are starving children everywhere, unborn babies being murdered, children are sick, diseases are all over, and the list goes on and on. I get it. I receive address labels from various charities every year and I feel a pang of guilt every time I use one because I did not send money to that particular charity. We can’t all give money to every group that asks us. I completely understand. Then it hit me. This matters because it impacts everyone, throughout the world. If we cannot live freely in our beliefs then no one has freedom. My experiences may be drastically different from yours. I feel the suffering of those fleeing from ISIS in Iraq and Syria acutely. You see, I have seen in person the horrific nature and unspeakable acts that are going on there right now. Thankfully, God is merciful and I have not yet seen someone beheaded, but I was a 9-11 relief worker at the Pentagon. The first time I saw the crash site a dark wave washed over me and I felt like I was staring into the gates of Hell. I wasn’t standing there alone. I was there with over 400 people who had lost loved ones. People whose entire lives were wrapped up with the 184 people who were slain when those men chose evil and drove that plane into the Pentagon. I wept with the survivors. I listened to their stories. I witnessed their agony. Those same men who chose evil are of the exact same bent as the men who are massacring Christians and other minority groups in Northern Iraq and Syria. They have stolen their homes, their freedom, sold women and children into slavery, and murdered thousands of people. And the real secret is, that this will not just stay in Iraq. It will not always be over there. In fact, its already been here through the multiple terrorist attacks on our own soil. This is not just an Iraq and Syria problem. This is not just a Christian problem. This impacts every single human being on this planet. So why on earth should you spend $3.50 (FREE SHIPPING IN THE US) on our bumper sticker or magnet? We have an obligation to stand up to evil. No you and I cannot go over there and provide food, shelter, water, and other necessities. However, we can give a small part of our money to groups who do exactly that. The Catholic Near East Welfare Association (CNEWA) does precisely that. But, I am not just asking you to give up your latte today. I am also asking you to pray and fast in solidarity with the persecuted throughout the world. We also show strength when we stand up in solidarity with others. My sticker on my car tells the world that I have taken notice of the atrocities taking place and my heart is with those people. It also educates others on what is going on. 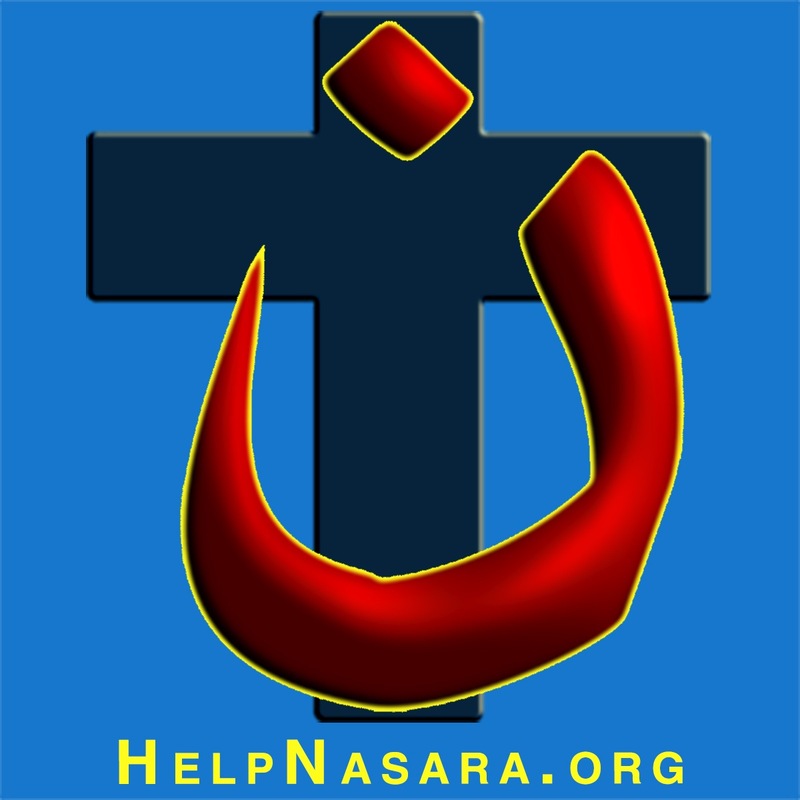 We will regularly update our website: www.helpnasara.org so that you can get the latest news on what is going on in Iraq and Syria. Even if one person sitting behind you in traffic checks out our site, then somebody else knows about the persecution that is going on. Let’s face it, our mainstream media is completely ignoring the slaughter of Christians. 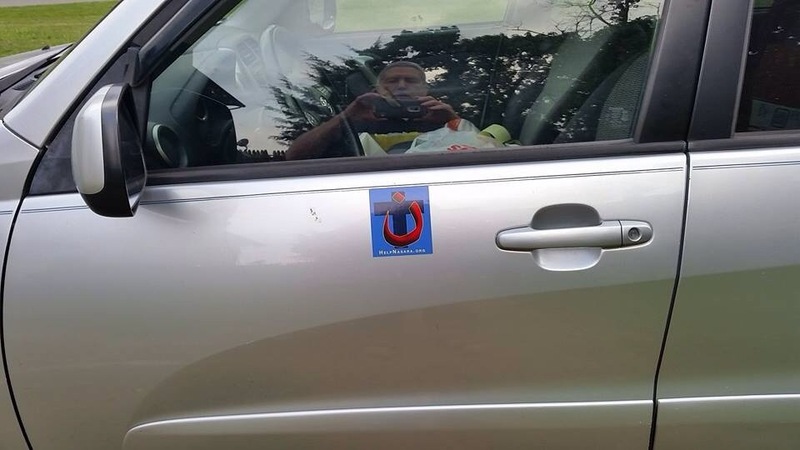 I know it does not seem like much to buy a sticker and give a couple of bucks to CNEWA, but one person multiplies into two and three and so on. This is a grassroots movement. A bunch of Christian Facebook friends got together and built this website, logo, and Facebook page. This is the power we have to help others. We can unite and serve. That is precisely what Christ calls us to do. This is not a scam. Your money will go to CNEWA. We are too small to cover printing costs, so that will come out of the $3.50 and $2.30 of every item WILL GO to CNEWA. Please buy one sticker or magnet. Slap it on your car or your laptop and show the world that you stand with the suffering. You can purchase a magnet or sticker at our Etsy page. They cost the same. You can get the word out, share our website, Facebook page, and Etsy store with your friends. Thank you for your support and may God bless you always. If there are any issues with the store of any of our sites, please let me know immediately in the comments section. Thanks!